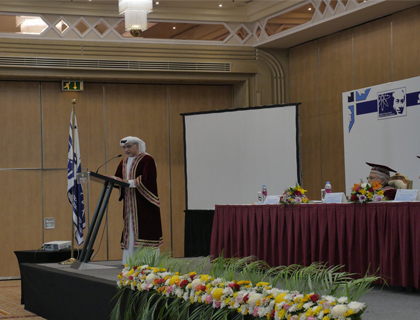 SZABIST Dubai announces collaborative top-up program in Management Sciences with University of South Wales, UK. 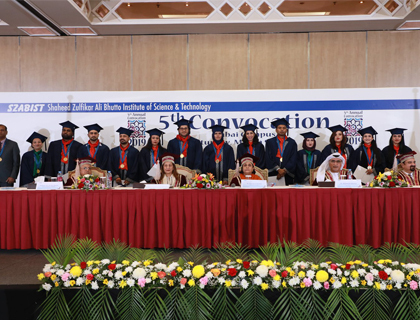 SZABIST Dubai announces collaborative top-up program in Media Science and Computer Sciences, with the University of Bedfordshire, UK. "SZABIST Dubai joins hands with Pakistan Association Dubai"
Guest Speaker Session by Mr. Khalid Mehmood Senior Partner Crowe and Mak held at SZABIST Dubai, organised by Dr. Nasreen. Excel Training Workshop at Sheikh Rashid Pakistani School by Mr. Zubair Azam Faculty Management Science. 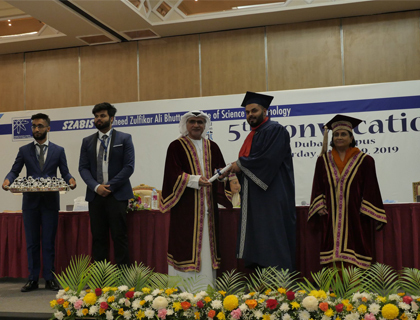 SZABIST Dubai holds 5th convocation at Crowne Plaza Dubai on 9th March 2019. SZABIST Dubai organizes Excel training workshop at Pak. Islamia Ajman for grade 11 students (workshop conducted by Mr. Zubair Azam). 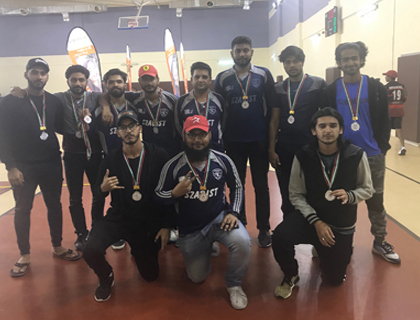 SZABIST Dubai Cricket Team Wins Runners up Title in Manipal Sports Festival 2019. SZABIST Dubai Admissions team with Dr. Hummayoun visit Pakistan Islamia Higher Secondary School Sharjah for career counseling session. 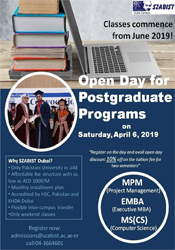 SZABIST Dubai Alumni Talk Series to be launched in March 2019. Spring semester commencing from February 9th, 2019 Saturday. Career Counselling seminar by Admissions Team and Dr. Hummayoun at Pakistan Islamia School Ajman. Career Counselling seminar at Oxford School and Pakistan Islamia Higher Secondary School Sharjah organized by Admissions Team. Excel Workshop conducted for Alumni, organized by Dr. Nasreen and Mr. Zubair Azam in January 2019. 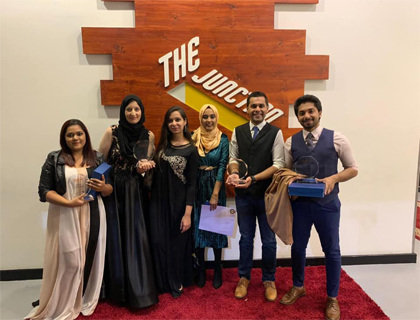 Media Science students reach semi-finals in Short and Sweet Festival with play “Cindellala” written by Ms. Shafaq Zehra. 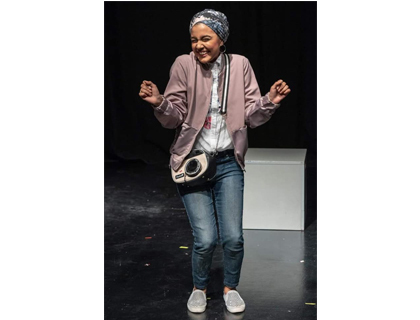 Urdu Meri Zabaan a play by Media Science Department supervised by Ms. Shafaq Zehra in December 2018. 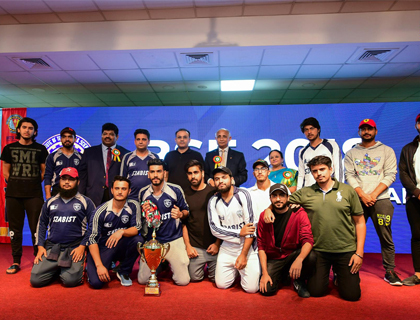 Farewell Event for Evening Programs in December 2018. IT Innovations Event organized by BSCS students supervised by Ms. Rukhshunda in December 2018. Recreational Trip to Bin Majid Resort in December 2018 by Student Council. Welcome Party by Student Council.